While it has been interesting to see the level of debate around the price of electricity, much of this is mere noise and overlooks the fundamental questions of how we supply our future energy needs at the lowest cost, in the cleanest fashion, and with the greatest economic development benefits possible. By GREG AUSTIN. The current impasse related to renewable energy procurement under the Renewable Energy Independent Power Producer (REIPP) programme, blocked by Eskom since August 2016, is political theatre that is highly detrimental to South Africa’s immediate and future economic health. Immediate, as it relates to foreign direct investment into our economy, and longer term because the country’s flagship programme being stalled at the behest of the mandated buyer of the renewable electricity (Eskom), could put the final nail into our ratings downgrade coffin. Let alone diversifying our electricity supply mix for the long-term future while keeping abreast with the latest in generation technologies. We certainly started in the right direction: in 2014, investment into renewables in South Africa accounted for 84% of all foreign direct investment; in 2016, this had dwindled to close to zero. It’s a shambles and a disgrace. The illegality of Eskom’s refusal to sign the Power Purchase Agreements (PPAs) with the renewable generators, while clear to those in the industry, is now laid bare for all to see by the recent legal opinion which states, unequivocally, that Eskom is bound by law to comply with the Department of Energy’s REIPP RFP and the subsequent awarding of projects to so-called preferred bidders from Rounds 4 and 4.5 of the REIPPP with whom it has to sign the agreements. Were Eskom and their government shareholder to simply obey the law, the REIPP procurement process – together with its associated profound economic and socio-economic impacts – would naturally continue to deliver on its reliability, cost effectiveness and low-risk (to the consumer) investment approach. Interestingly, the projects to be built under the last two Rounds of the REIPP would come on line in good time to fill the supply shortage that Eskom has indicated will reappear in 2021; this same surplus of electricity being one of the varied reasons offered for stalling the programme. There can only be deeper and more malign reasons behind this action. Many link it to the nuclear procurement programme, with Eskom looking to host the programme and effectively blackmailing the National Treasury via the REIPP to get what it desires. Give us nuclear, the story goes, and we will allow you to buy renewables. Nuclear procurement is known not to be necessary in this country for the next 20 years, by then even more cost- effective technology options will be available to us, yet the RFI for nuclear was issued in December 2016. The issues have played out in the media with the renewables industries more recently stepping up their efforts to counter the smear campaign spear-headed by Eskom. While it has been interesting to see the level of debate around the price of electricity, much of this is mere noise and overlooks the fundamental questions of how we supply our future energy needs at the lowest cost, in the cleanest fashion, and with the greatest economic development benefits (read: jobs) possible. This then is the link to the Integrated Resource Plan (IRP) and Integrated Energy Plan (IEP), with the latter’s update now some four years late and the latest draft out for public comment clearly missing the mark. It has also been astonishing to see commentators masquerading as experts on the subject of electricity and energy pricing presenting their version of facts that in reality clearly demonstrates their anti-renewables bias. The recently coined term of “alternative facts” by US Presidential counsellor Kellyanne Conway springs to mind. Unfortunately, it’s near impossible for anybody to synthesise the true comparative life cycle costs of different electricity generation technologies on the basis of the time value of money, capital and operating costs, financial discount rates and so on from the cost data being tossed around as they are simply not referencing the same base parameters; it’s more a case of lies, damn lies and statistics at play. What makes matters worse is that the current draft version of the IRP has nonsense electricity cost data for the proposed supply mix in its assumptions. South Africa was a global leader in renewables, both in terms of the scale as well as the quality of the REIPP programme; but in terms of renewable energy investment destinations on the continent, the country already no longer even features in the big five. More philosophically perhaps, while the stalling of the programme is taking place at exactly the point in time when the country would be fully realising the diverse benefits it offers – jobs, massive investment in manufacturing, massive equity investments in the projects themselves, all the debt provided via our own banks – we can take some heart from the fact that policy-driven renewables programmes around the world tend to be cyclical in nature given their link to the political economy of a country. From the outside, South Africa is following a vacillating policy tendency that has been seen in some European markets, for example, but that comparison unfortunately does not excuse the unethical behaviour of those pulling the levers which is evident when interrogated more closely. Despite the renewables industry coming under fire in South Africa, the rest of Africa is welcoming renewable energy with open arms. So while government policy is making it difficult to do business locally, renewable energy providers are looking for other business opportunities north of our borders. Strange that many Sub-Saharan countries have observed the growth, access and development that renewables can offer their economies as well as their mining and industrial sectors, while some in the South African government and its parastatals consider large-scale renewable electricity too expensive. 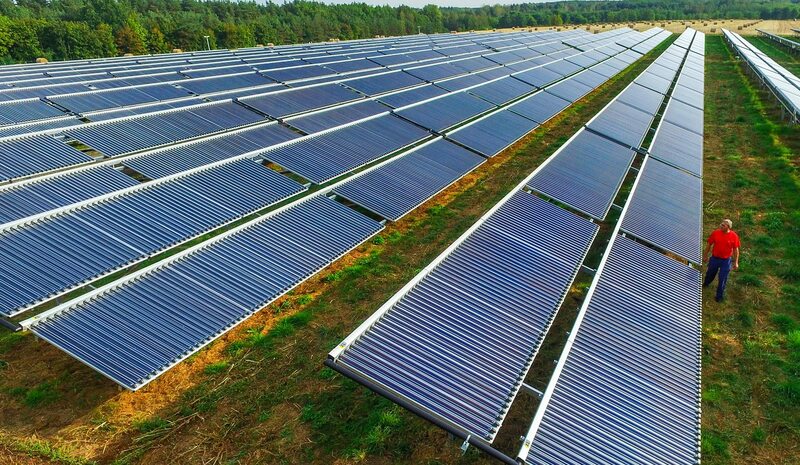 Nigeria has signed the country’s first solar PPAs totalling 975MW of utility-scale solar; Malawi has a current RFP for 70 MW of solar power ; Zambia signed PPAs in 2016 for 80 MW of solar power; while many other countries are developing their own programmes, often under the auspices of the Scaling Solar programme. At a more decentralised level, we see a massive upswing in the interest to hybridise diesel generators with solar photovoltaics, to achieve crucial benefits in a decentralised fashion for these businesses and economies. These issues will be closely evaluated at the Mining Indaba to be hosted in Cape Town this week. Greg Austin is MD of juwi Renewable Energies.